While a storm may have destroyed one Wrightsville Beach street’s access to the sound, it only boosted the resolve and camaraderie of the neighbors, who last weekend came together to complete the rebuilding of the steps at the west end of Henderson Street. 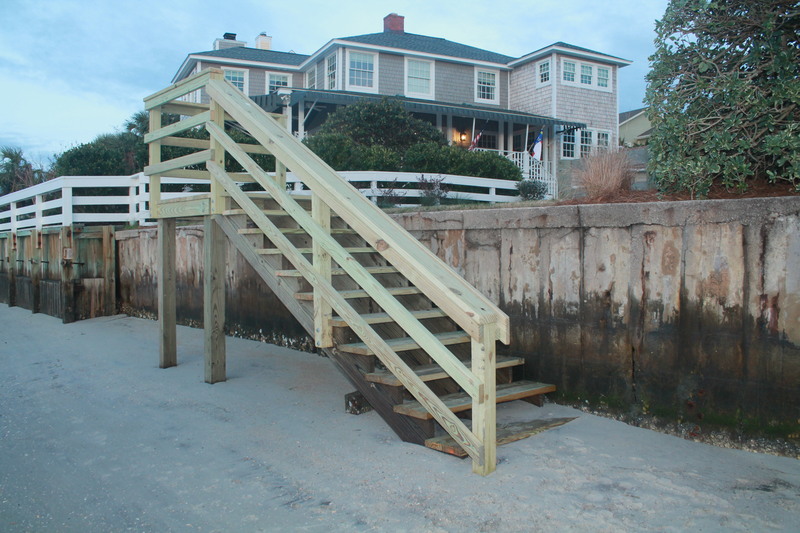 After September’s Hurricane Florence, the stairs leading down the bulkhead at West Henderson Street were damaged, resulting in a tear down by town workers. After numerous residents reached out to the town, the board of aldermen allowed the neighbors to raise the money and rebuild the steps leading to Banks Channel, with the neighbors coming together over the past month to complete the project. 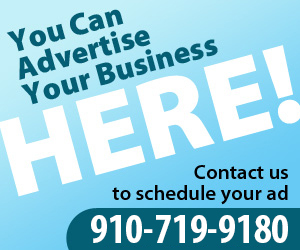 A similar project will bring a set of steps to neighboring Greensboro Street. But while the stairs may be complete, the collaboration is just beginning, neighbors said. In discussing the neighbor’s request, Mayor Bill Blair encouraged them to help keep order at the access, which will be partly organized through the newly-formed Henderson Street Association. During the Dec. 14 meeting where the Wrightsville Beach Board of Aldermen approved the projects, Blair said that the board was approving the project despite some concerns from neighbors that the area was prone to rowdy behavior from summertime revelers. Neighbors of the staircases would have to help monitor the crowds and help guide visitors to obey the rules, or report those who don’t, he said. They will also help with the upkeep of the newly installed landscaping at the access. Lewis said at the project would include specialty signage at the end of the street to remind people of the rules, which include no alcohol, no boat mooring, no unleashed dogs and no littering. “We’re going to continue to use the Henderson Street Association to keep an eye on things, keep things tidy and keep the crowds under control,” Lewis said. The cost to rebuild the steps came to around $3,000, Lewis said, raised entirely by residents of Henderson Street. The project to rebuild a staircase for Greensboro Street will be roughly similar, with Blair helping to lead the fundraising for that project. Lewis said the project came together quickly, party due to the cooperation from town officials and members of the board. And while Lewis praised the town, Briggi heaped praise on Lewis, describing “the tremendous work” he did to make the project happen. Next to be built will be the West Greensboro Street stairs, which Lewis said should be done in about three weeks.